All the products I have purchased so far from Cilek have exceeded my expectation quality wise. Yes they are quite pricey but they will definitely outlast and outshine their Made-in-China counterparts. Cilek Trio Gay Fabric Upholstered Chair is the perfect companion for the Trio desk. Features wooden legs with fabric upholstery. 17" seat depth. 17" seat back height. 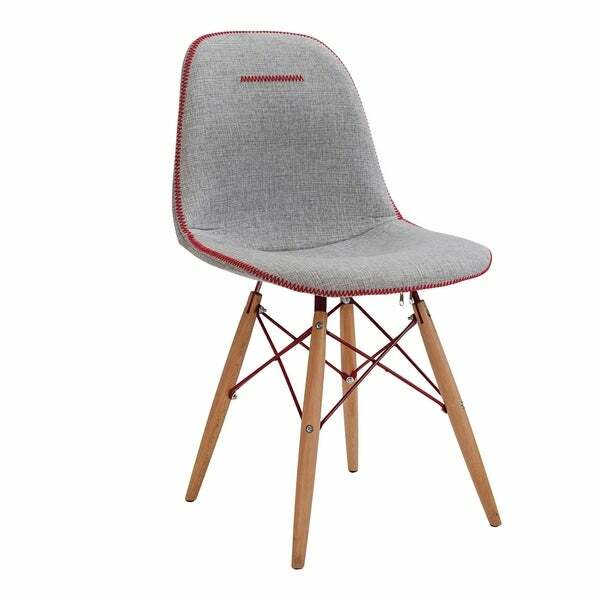 Product Dimensions: 19.5'' x 19.5'' x 33.5'' H. Fabric (100% polyester) upholstery with wooden legs. CPSIA/ CPSC/ PROP65 Compliant. Made in Turkey. Dimensions 19.5 In. X 19.5 In. X 33.5 In.